SeedWise is a marketplace where seed farmers can sell organic, non-gmo, heirloom & open pollinated seeds directly to home gardeners and small farmers. This gives customers a greater level of choice and provides income directly to the farmer. Gardeners can find growers in their bio-region, selecting the perfect of their favorite crops. Gardeners can plant with confidence, knowing exactly where their seeds were grown; the names and faces of those farmers, and the heritage of the seeds. Just like your local Farmer's Market, SeedWise provides the chance to connect, learn and build resilience in communities across the country. We see a world of small-scale farmers being the backbone of our food supply. We dream of 1000s of unique varieties of our favorite fruits and vegetables. We envision a future of gardens growing in place of front-lawns. Know your Farmer, Know your Seed. 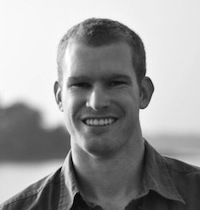 Luke Callahan is a systems designer, builder, and educator residing in Eugene, Oregon. Early years were occupied with understanding systems via mechanics and traditional construction methods, developing into a study of the intersection of nature's systems and society's demand for resources. His work has evolved into helping people start small businesses that operate within our ecosystems' values and provide a healthy living for everyone involved. 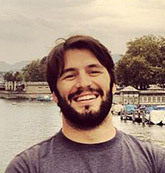 Ryder is a web developer, home gardener and avid coffee drinker living in South Lake Tahoe, California. The loss of seed diversity in the past 100 years astonishes him. With SeedWise, he's helping create a future with thriving organic farmers and an abundance of genetic diversity. He's also deeply interested in helping other people create local resilience by building sustainable businesses.